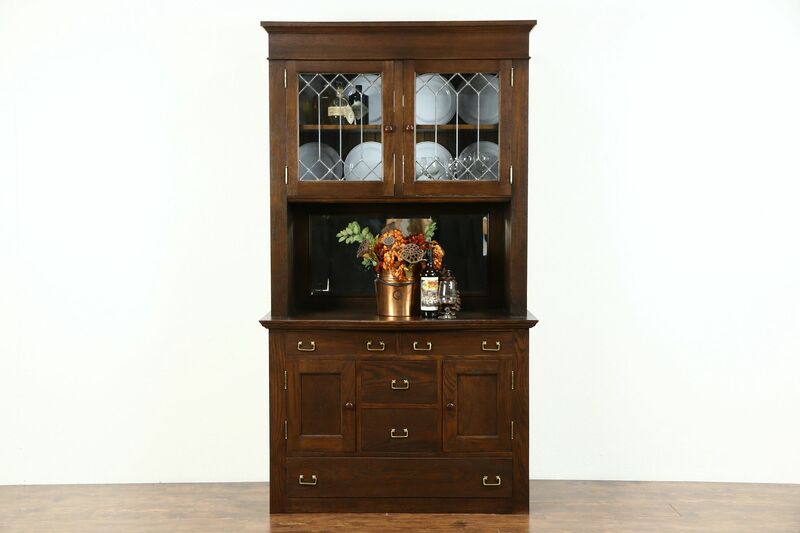 A pantry or bar cabinet or sideboard server with china cabinet above dates from about 1900, and has original leaded wavy glass doors. Solid oak, the restored deep finish is in excellent condition on this American made antique furniture. Brass hardware is authentic, the back is wainscoting. The original beveled mirror has a little "smoke" to show its age. An upper shelf is adjustable. This one piece cabinet measures 48" wide, 21" deep, 85" tall and the serving area is 34" high.